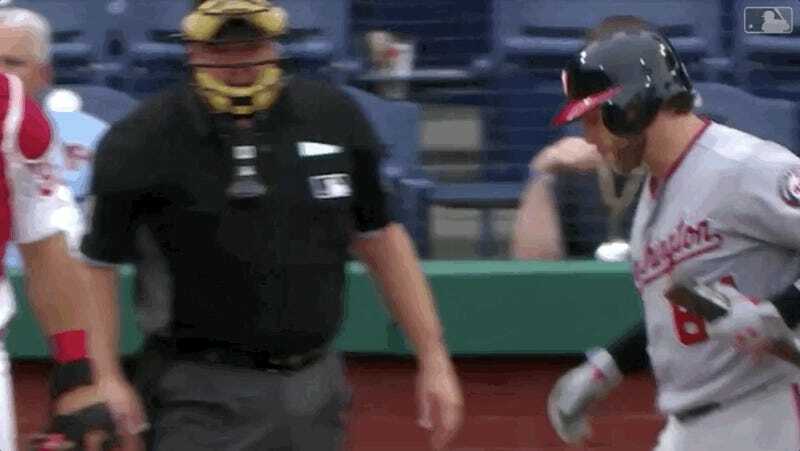 A strange thing happened in the top of the fifth inning of the first game of today’s Nationals-Phillies doubleheader. 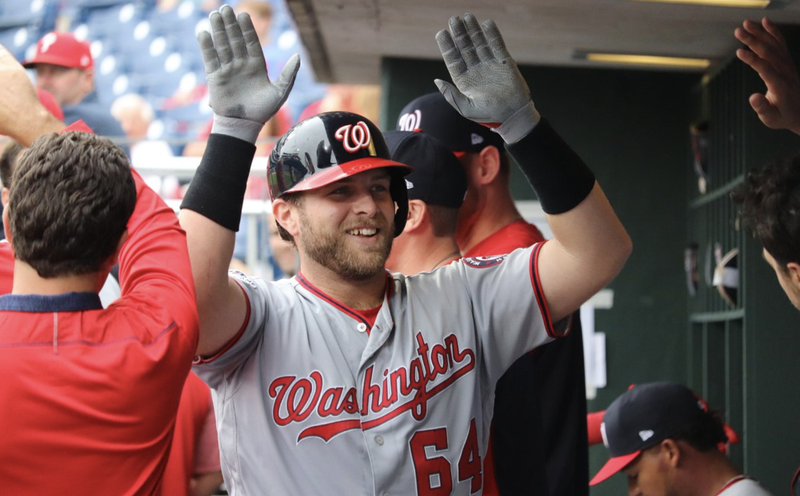 Nationals’ rookie catcher Spencer Kieboom spit out a tooth (or possibly a chunk of tooth?) on his way to the plate for his second at-bat of the day. Clearly, because the milestone dinger came immediately after spitting out a tooth, it must have happened because of the spitting out of the tooth. That is just how cause and effect works, I’m afraid. Spit out your teeth, is what I’m saying. Just to be safe, you should still knock one of your teeth out with a ball-peen hammer.